Communication sciences and disorders professionals are often planners and fixers. We like to prepare for everything, and we want to “fix” everyone’s communication disorders. We got into this field because we wanted to help people, after all! Late last year, I found myself in a personal situation for which I hadn’t prepared and I couldn’t “fix.” My son was diagnosed with autism at age 4. People often ask me how I handled his diagnosis. Overall, I think I handled it well. I mean, I knew. I had seen the signs, and I knew what to expect—eventually. The official diagnosis didn’t shock or blindside me. 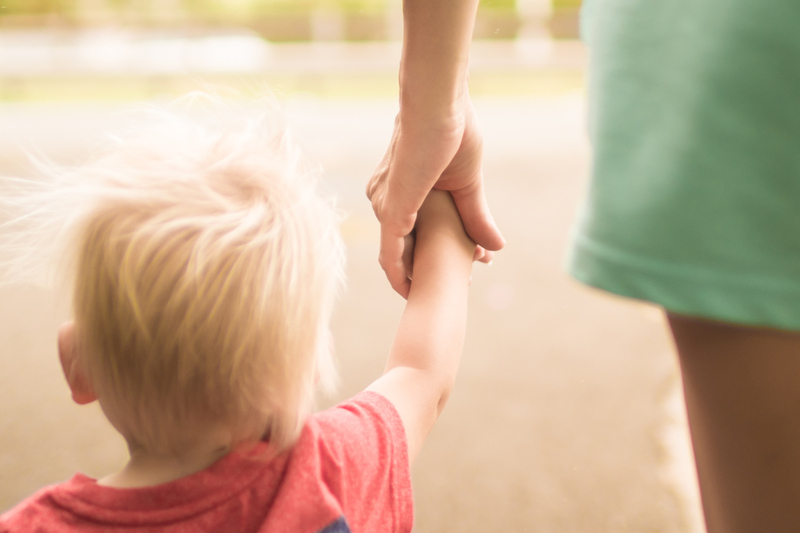 I accepted my son’s autism even before I heard the words officially. I also knew the diagnosis would allow us to qualify for all of the services he needed. While I handled the diagnosis well overall, I still mourned. I still cried. Getting the “official” diagnosis meant my son’s life—and our life as a family—officially changed. We all started a journey I never expected or planned for my child. I knew we’d face scary, uncertain and expensive experiences. This autism journey is full of unknowns and worries. Assessing and intervening with co-occurring conditions in children with autism. Actress Holly Robinson Peete and SLP Pamela Wiley build understanding between police officers and young men with autism—especially those of color. While I knew this journey was coming, I still wanted so badly to “just fix” all of his issues. Fix his receptive and expressive language deficits. Fix his social communication and his sensory issues. I placed such a huge burden on myself as a young mother and experienced speech-language pathologist to fix everything. This was my job! Shouldn’t I be able to help my own child?! I desperately tried to treat all of those little things that added up to autism … but I couldn’t. I also knew this diagnosis changed nothing about my amazingly wonderful little boy. I also realized that my thought process had been completely wrong: My son doesn’t need me to “fix” anything, because nothing about him is broken. His brain just works differently. Being both an SLP and parent of a child with autism, I balance two perspectives. Without a doubt, my mommy perspective dominates, but my SLP characteristics still influence me as a mother. Getting this diagnosis created a fire within me fueled by my desire to help my son. This passion also helps me serve other children on the spectrum more effectively. I want parents to know what it took me some time to realize: A diagnosis of autism—or any other issue—doesn’t change their child. I want parents to know nothing about their children needs to be “fixed.” As an SLP, my desire to “fix” my clients’ issues was wrong. These children, including my son, do need more support. My job as an SLP—and now as a parent of a child with autism—involves providing that help so they can all reach their full potential. Isn’t this what all parents want for their children? I want parents to know I see them better now. I understand their fears for their child’s future, their longing to hear precious words like “Momma” and “I love you.” I see their struggles to get through the day. Most of all, I see the undying love and devotion they give their children. Parenting a child with autism takes enormous responsibility, but our children are worth every penny spent, every mile driven, and every tear shed. To see their victories, accomplishments and smiles after a hard-earned milestone makes it all worthwhile. Words that could have come straight from my mouth…….beautifully written. The author has such a valuable perspective as both a parent and professional working with kids on the spectrum. At the same time, I worry/wonder how pervasive in our field this idea of “fixing” communication disorders truly is. Many of the kids we see will have communication challenges for life — the idea of “fixing” is damaging and unrealistic. I agree. I think we need to see these children for who they are, and not what they cannot do. Shifting that perspective makes a huge difference in how we work with them, I believe.